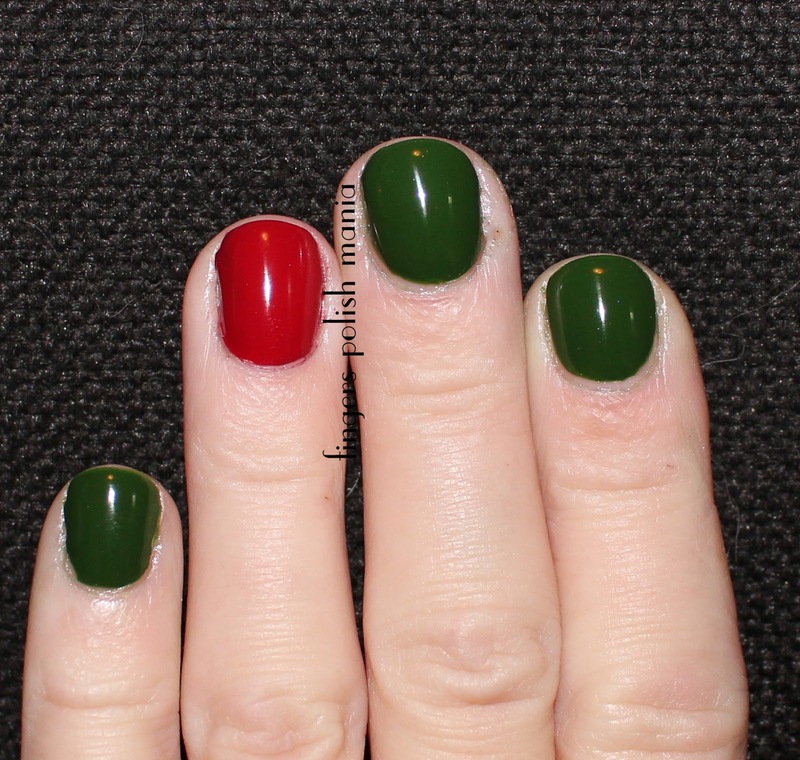 Today I'll be showing you the one Christmas mani I did this year. I did the same exact thing on the Eve but with China Glaze Ruby Pumps and Emerald Sparkle. 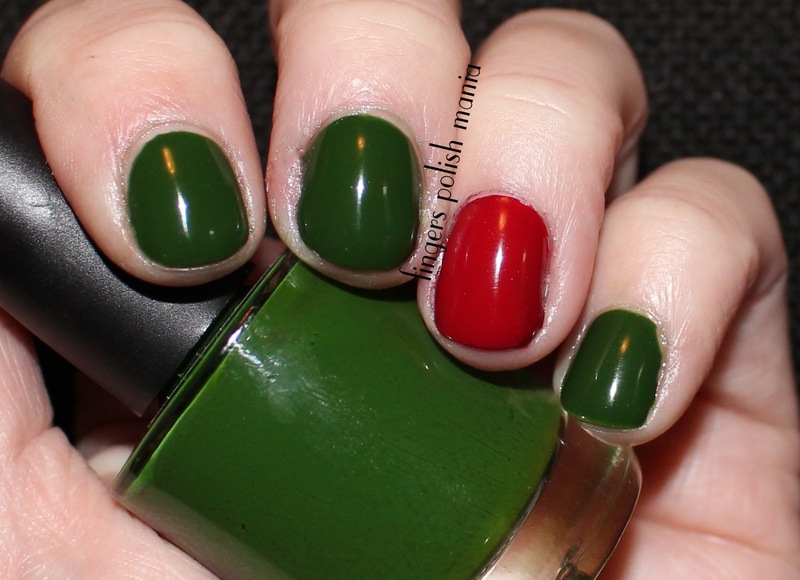 Just simple red and green. My nails are horrible. They are peeling and gross and I've gone back to chewing the skin off around my nails which makes for not pretty areas that hurt. I also have this split in my right thumb by the nail that just won't heal. My dad always got these splits in his thumbs too. Man does mine hurt bad. For Christmas I got five pairs of slippers-yes I need backups! I got five Lands End sweaters as mine literally had holes in them and I was still wearing them to work (whoops!) and four bottles of Philosophy perfume and the matching lotion. Yes I truly love that brand for their perfume and lotions. It's the only brand I wear for those two things. I did not get any nail polish as I have sworn off buying any except for Enchanted Polish and Chaos and Crocodiles holos. I can proudly say I have done well with this new rule. If only I could say the same for my makeup stuff! Did you see the limited edition Chaos and Crocodiles holo collab with Emily de Molly? You bet I bought the one holo even if it's a berry pink. Chaos does amazing holos that's for sure. All right, here is Polish My Life Money Tree and Little Red Dress. Yes still have the nubs. Next I did a lazy mani using Colors by Llarowe Aliens and Outlaws. It's really a very pretty holo micro glitter that sparkles big time in the sun.